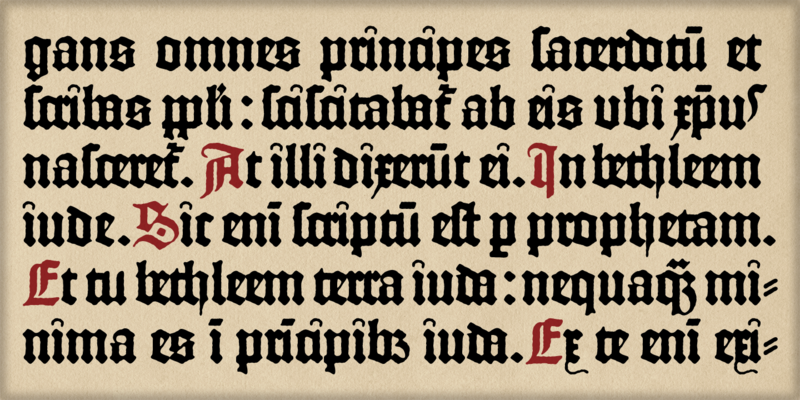 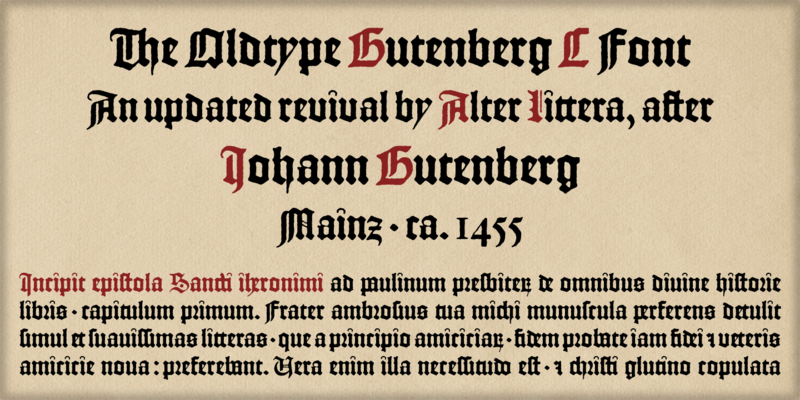 A slightly roughened version of the Oldtype "Gutenberg B" Font, simulating irregularities and ink spreads associated with old metal types, papers and parchments. 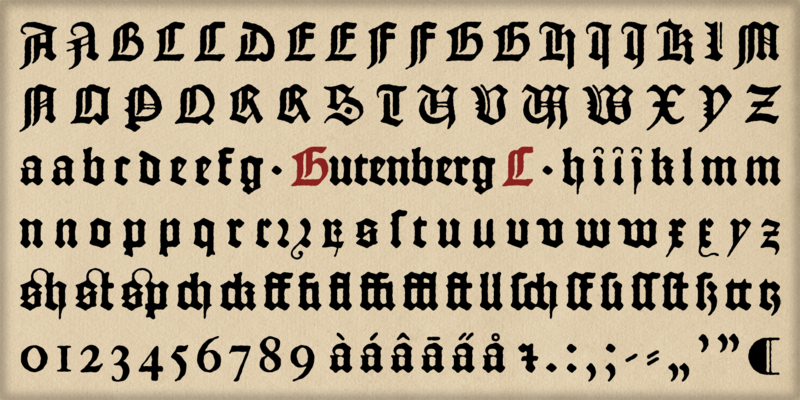 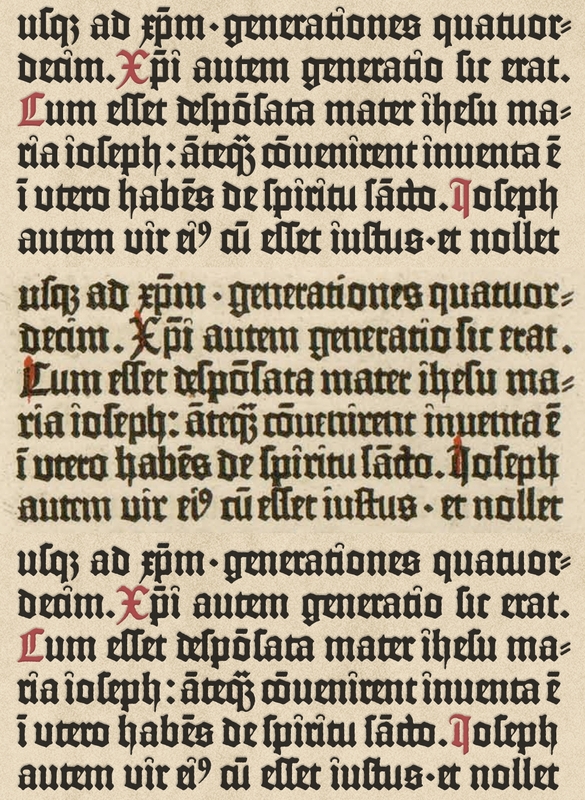 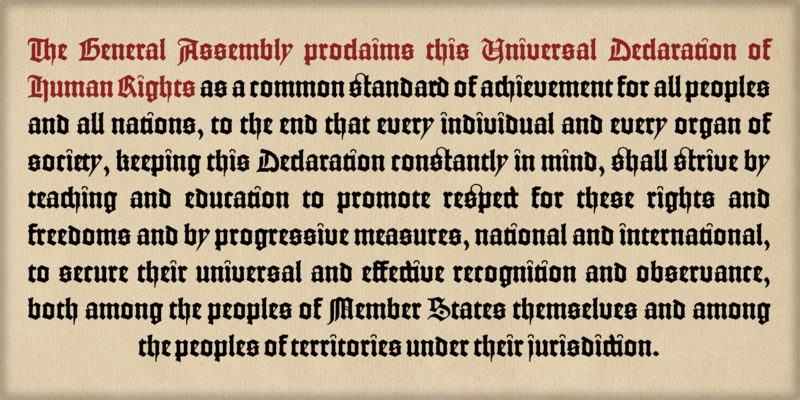 Apart from its rough appearance, which will be clearly noticed only at large point sizes, the font is identical to the Oldtype "Gutenberg B" Font. 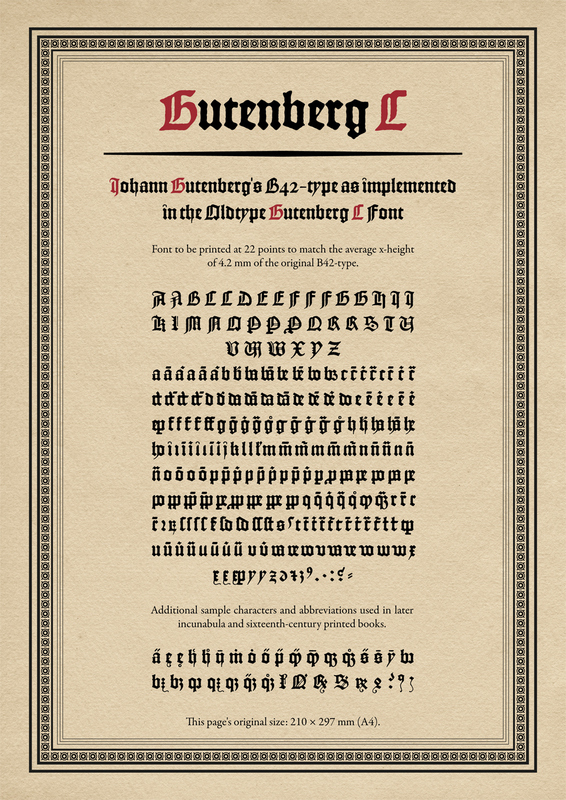 Updates in Version 2.0 include new figures and currency symbols, fixed kerning for pairs with second element starting with an 'a', and some ligature refinements.